While some of us may just be coming out of the food coma induced by 2018’s Wine + Food fest, the lineup for 2019 has already been released and many events have already sold out. Here are our picks for must-attend events for the 2019 festival. This is an event that I am unbelievably excited for because SoSa’s signature dinner guest chef is...Mauneet Chauhan!!! She is a regular judge on Chopped (she actually won a James Beard award for being an awesome judge) and owns several Indian restaurants in Nashville. I’m incredibly excited about this pairing because Indian food is hard to come by in Charleston and Chef Jackson (chef/owner of SoSa) is sure to put his inventive spin on the bold flavors of Indian cuisine. Think of CHS Wine + Food weekend as a marathon and not a sprint. This is a fun event that will help you get a little buzz going, but still allow for plenty of other festival activities (if you can convince your boss to give you Friday off of course). Hosted at Josephine Wine Bar, the newest, and I have to say, one of the chicest wine bars to hit the peninsula, the event will offer a tasting of fizzy, fruity deliciousness. I love, love, love the concept of this event. There is obviously no shortage of BBQ in Charleston and the South in general, but this event highlights and celebrates women that are dominating the ‘Que! 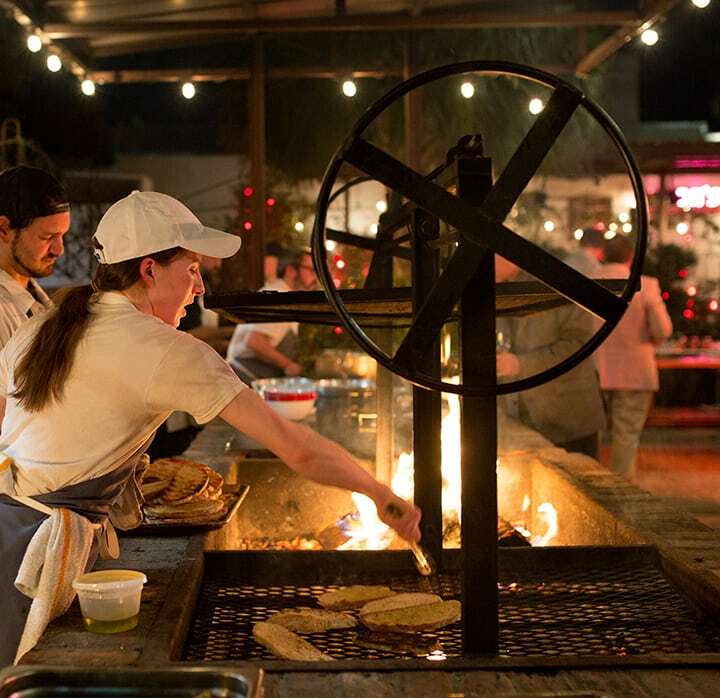 The event is guaranteed to be delicious (because BBQ, duh) but more importantly shows that the food and beverage industry is changing and recognizing bad*** women chefs. Some guest chefs include Leah Cohen, Joy Crump, Tiffani Faison and Annie Pettry (all four also happened to have competed on Top Chef). We hear the term farm to table/fork pretty regularly here in Charleston, but this event boasts ‘pole to plate’ dining. 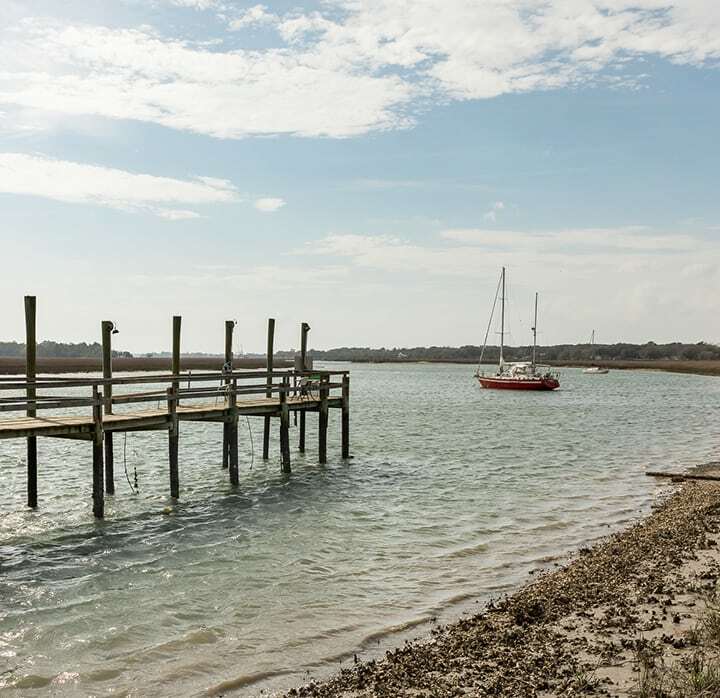 This excursion allows participants to learn about the waterways surrounding Charleston on a boat ride [it is unclear whether there is actually any fishing involved] followed by a ‘finned feast’ at Bowens Island Restaurant. Honestly, if you love seafood, I don’t think it can get fresher than this! This event combines all of the fun activities of camping ie. drinking and open fire cooking and none of the actual sleeping outside. Attendees will gather around ‘glampsites’ and enjoy a carefully curated wine tasting by wino-isseurs such as Janie Brooks Heuck of Brooks Wine and Kevin Sass of Halter Ranch Vineyard paired with food from chefs such as Alex Lira (Bar Normandy, Kristian Neimi (Bourbon in Columbia), John Zucker (Cru Cafe & Purlieu) and David Shuttenberg (Kwei Fei). If you missed this event last year, you should definitely jump on tickets this year, because this is hands down one the most fun events of the festival. Enjoy bubbles and a brunch prepared by Charleston chefs Jeremiah Schenzel (Daps), Cynthia Wong (Liferaft Treats) along with many guest chefs, while watching the sparkliest and hottest Queens perform. The Culinary Village always offers special pricing for locals on Sundays, so this always the best day to go. Each year the culinary village gets bigger and better, and I’m sure this year will be no exception. Some of favorite parts of the culinary village last year was the grills + grates section the rose garden and oodles of noodles, so I’m looking forward to seeing what this year brings. *Pro Tip from working the culinary village last year, the lines will get LONG, but there are some snack shacks along the perimeter of the CV that have little to no lines!